We just returned home from an incredible trip to the Bahama's. It was my first time to this corner of the world and all I can say is: WOW. 1. I got the opportunity to help out with the UWC Triathlon weekend. 2. I got a chance to explore someplace new and have some serious fun with Chris. 3. My ability to run came around and I logged some consistent miles each day leaving me more and more confident I am healthy and ready to look ahead to 2016. Most importantly, I found my smile and happy place after a rough and tumble year. I met Barbara Ann Bernard (BA) through the Ironman XC program in 2010. We immediately connected and I was drawn to her positive spirit, attention to detail, and zest for life. BA is a graduate of the United World College and she created a triathlon weekend to help raise funds to send a local Bahamian to study at one of the 13 campuses around the world. Working with children and teens to let them see that anything is possible if you work hard, follow your dreams and remain persistent through good times and bad is an important lesson that I like to share with those around me. BA invited me to the event to be an ambassador for the weekend and I am so thankful for the opportunity. The weekend was action packed. 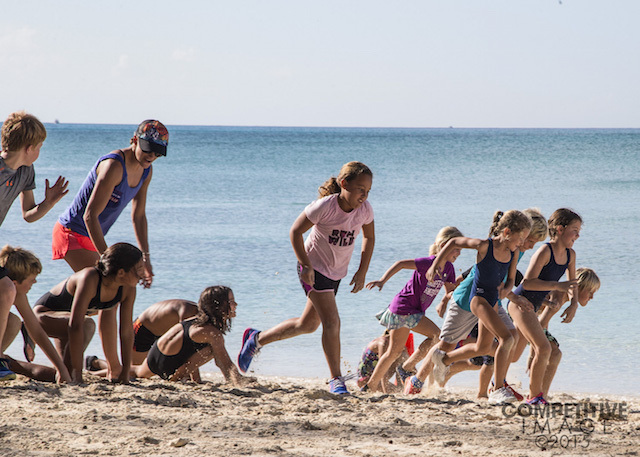 It started with a Kids Triathlon Clinic on Saturday where I worked with Kevin McKinnon to show the local children what triathlon is all about. This was an enthusiastic crew and by the time we did some swimming, biking, running and transition practices the afternoon had flown by. I was already looking forward to seeing these guys in action at the race on Sunday. Sunday was the main event. 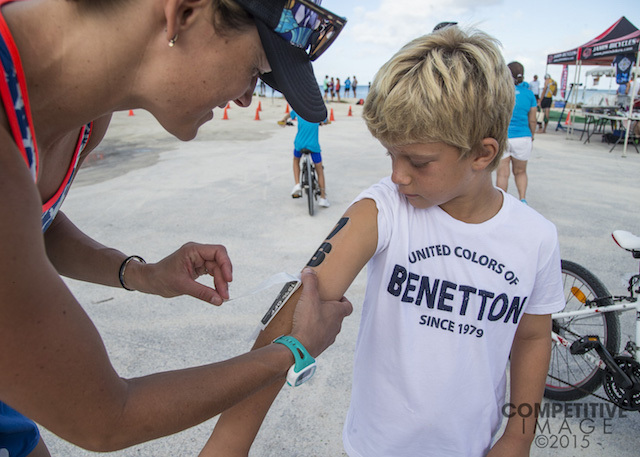 It truly brought a smile to my face as I was reminded of why I got into the sport of triathlon. On a personal level, this is just what I needed! The event is very grass-roots and family oriented. Everyone in the community takes part in the event from setting up, volunteering, racing, cheering, you name it. It was refreshing to attend a low-key triathlon and be surrounded by athletes, many of which are new to the sport, and see their passion for swim, bike and run. I also have to mention that the race location was unlike any I have ever been to for a race: jaw-dropping beautiful! Race day I was all over the place: I helped set the swim course, I was the official "race starter", I jumped into the swim and got to experience the most beautiful swim course I have ever been on. After that I did some cheering, handed out medals to finishers and the day finished with the kids race before I got to personally congratulate all of the award winners that afternoon. I am so thankful to have been a part of this event. I made some new friends and connected with some athletes that I normally wouldn't have the chance to meet. BA was gracious enough to name this years scholarship after me. What an honor! If you are interested in helping support the UWC, or even better, if you are looking for a destination event to end your season, I can't speak highly enough of this event. If you have any questions at all, please let me know. Not only did BA go above and beyond to put on an amazing triathlon weekend, but she also put forth an incredible effort to ensure that Chris and myself got to fully enjoy the Bahama's. We had never been to the Bahama's and I was blown away by its beauty. The most clear, endless, warm and unique water I have ever touched or seen. It was just like in the movies. 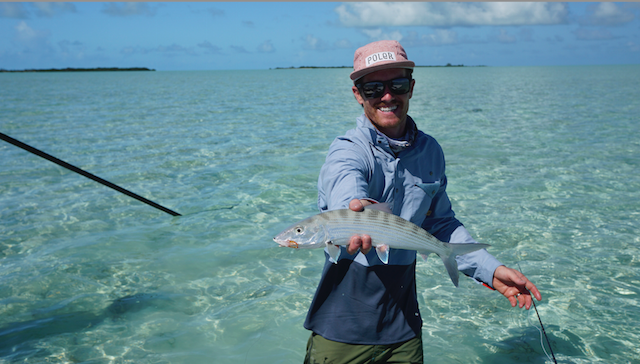 After the race we flew to Andros and got to spend a few days bone fishing (holy dream-come-true for Chris!) and unwind. We felt so spoiled. 3. Healthy and happy body. As I mentioned earlier, over the past 14 days or so I have welcomed continuous running back into my life. Running: I missed you! One of my favorite things to do when visiting new places is to discover them on foot, so to be able to run and see the Bahama's on foot was a true treat. That brings me to now! I am meeting up with Jesse (my coach) next week and we will set up my 2016 racing plans. I am not sure what direction I will head, but I know it will be filled with adventure & challenges. I am ready! Thanks for reading. I hope everyone is enjoying either the end of the race season, or making the most of their off-season.